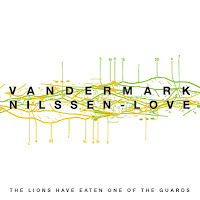 Recorded in Antwerp, Belgium in 2013, The Lions Have Eaten One of the Guards is yet another album solidifying Ken Vandermark and Paal Nilssen-Love as one of the most powerful improvisational duos around. Vandermark and Nilssen-Love have been playing together for more than ten years now (with almost as many records) and in that time, they’ve pared away the excesses, trimmed the fat, and stream-lined their sound. In essence, they’ve become leaner, meaner, and extremer. Right out of the gate, “Slant” pummels you with Nilssen-Love’s complex, careening drum-work and a flurry of notes from Vandermark. In a previous review on this website (for The Thing’s masterful Boot! ), it was suggested that Paal Nilssen-Love could be a stand-in for John Bonham if a Led Zeppelin reunion were ever to materialize. His performance on this track shows that to be an apt comparison. 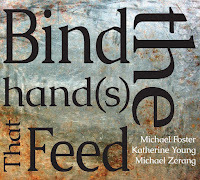 The sound is enormous, ecstatic, and constantly pushing forward - a barrage that builds and builds and doesn’t let up. Nevertheless, Vandermark holds his own and doesn’t get lost in the maelstrom (or the Moskstraumen, as it were). Alternating between propulsive funk, frenzied blues, and exuberant squawks with wild abandon, Vandermark provides a sense of joy that is sorely missing from many similar projects in the world of improvisational jazz. Midway through, he switches tenor for the baritone sax, and thus helps carry the piece into a different dimension altogether: unlike the muscular bravado of the first half, the second half takes on a decidedly more menacing tone - Vandermark emits clipped blasts that don’t punctuate Nilssen-Love’s rhythms so much as puncture them entirely. It’s a welcome change of pace. 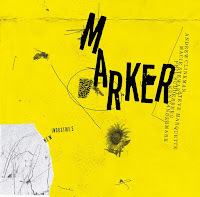 As a whole, “Slant” showcases Vandermark’s ability to play with both gospel-tinged fervor (à la Mingus sideman Booker Ervin) as well as with the uncompromising screech-and-skronk of European free-jazz maestros (and occasional bandmates) Mats Gustafsson and Peter Brötzmann. 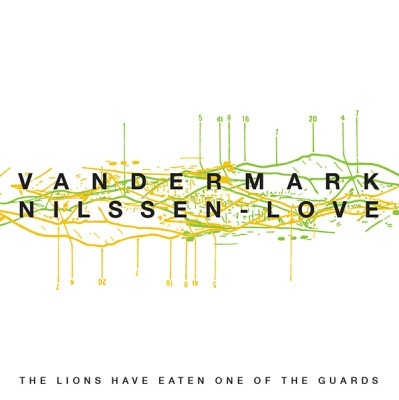 There’s a wide range of timbres and textures that get explored by Vandermark in this piece, and Nilssen-Love provides the perfect rhythmic foundation to support them. 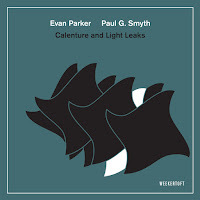 In an interview with Walter Tunis for the Lexington Herald-Leader, Vandermark made the following comment about his partnership with Nilssen-Love: “One thing that's different about Paal and I when we improvise is how a lot of the music really works with grooves as opposed to free time.” That method definitely works to the duo’s advantage on “Slant,” and it makes it the perfect kind of music to run a race to, or box, or speed-clean, or any other task that requires a higher-than-normal energy output. This is vital stuff, and it doesn’t stiffen up or get stale. That’s not to say the album is lacking in subtlety. 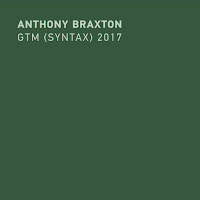 The second track here, “Odd Numbers,” starts with Vandermark on clarinet, and it takes a decidedly more elliptical approach than the piece that comes before it. Nilssen-Love shows a great deal of restraint here, teasing abstract, near-shapeless rhythms out of the kit and helping to build an atmosphere of tension and unease. Meanwhile, Vandermark goes on heady excursions that have more in common with Schoenberg’s Wind Quintet than Shaw’s Concerto for Clarinet. It’s a nice break from the wild acrobatics and unrelenting intensity of the previous piece, but Nilssen-Love eventually picks up the pace, Vandermark grabs the tenor, and the duo slide back into a muscular groove. The melodies that occupy the second half of “Odd Numbers” are some of Vandermark’s best, and they dispel the curling abstractions of the first half like wisps of smoke blown away in a hurricane. The final track, “Color on Colour,” is a minimal affair - a mournful dirge that helps bring the album to a satisfying, if somber, close. Ultimately, this is a fine album by the pair. It doesn’t bring anything particularly new to the table, but it doesn’t really need to. They’ve tapped into a sound that is eminently listenable and addictive, and it’s exciting to hear them hone their interplay more and more as time passes. 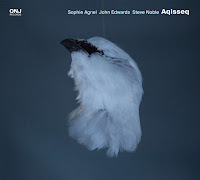 I would highly recommend this album to fans of Ken Vandermark’s and Paal Nilssen-Love’s previous duo work, and to any fan of powerful, melodic, but still adventurous music. Nice review, welcome aboard! Fired this up on Bandcamp, and it's been a good jolt to get me moving this morning. I saw them on the first stop of the tour pimping this. PNL has always been a powerful drummer but it seems like Vandermark's playing has reached a new level once he turned 50. Needless to say, it was a fine evening of music.